Walking SA, in conjunction with Heart Foundation SA, have submitted the following Letter to the Editor, in response to the SA Government’s release today of Operation Moving Traffic. Physical activity offers many benefits to health, whether it be preventing disease, contributing to emotional and cognitive health, or helping to maintain independence later in life. Many consider it the “wonder drug” of health promotion. And while the benefits are multiple, the behavior is simple. People only need to be active for at least 150 minutes a week for adults and 60 minutes a day for school-age youth. It can even occur in short bouts, lasting at least 10 minutes. Unfortunately, only one-half of adults and about one quarter of high school students [USA statistics] are sufficiently active to realize the health benefits of physical activity. To improve population levels of physical activity, an increase in walking may be an important place to start. a better ability to print the map at a set scale (like 1:25,000). The Australian Walking and Cycling Conference is to be held next Monday and Tuesday 20-21 July at the Tarndanyangga Campus (Victoria Square) of Flinders University. The Conference organisers would like to offer 12 two day conference bookings to members of Walking SA at the special price of $200. This is a saving of $220 on the full delegate price. One day bookings at $100 are also acceptable. To take advantage of this special Walking SA offer please go to ‘Bookings’ on the Conference website and book as a student and add ‘Walking SA’ to the name in the last name box. 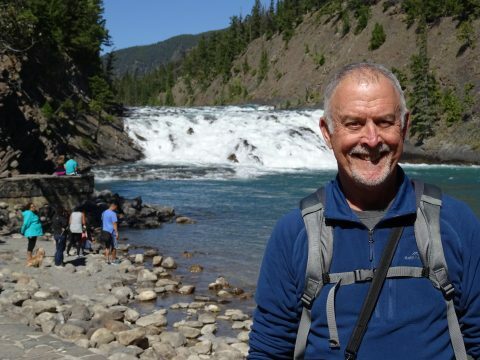 Walking SA is delighted to announce that we have appointed Greg Boundy as our new Executive Officer. Greg comes to Walking SA with a broad breadth and depth of experience. He has held senior roles in his career with commercial, government and not-for-profit organisations which equips him well for the Executive Officer role. 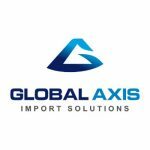 Greg is highly experienced in developing and implementing strategic plans as well as operationally leading an organisation. 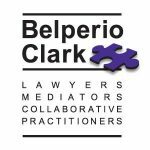 Greg’s approach is to work highly collaboratively within the organisation, with stakeholders as well as the broader community. He is enthused by the work already undertaken by Walking SA with its strategic planning and its goals for the future and he can make a significant contribution to their achievement. Greg has a range of personal interests including his family, hiking, photography and music. He and his wife Valerie are in their fifth year of hiking the Heysen Trail with The Friends of the Heysen Trail, which combines both his passion for walking and photography. They also holidayed in North America last year and the highlights included walking in the Canadian Rockies and also into Grand Canyon. 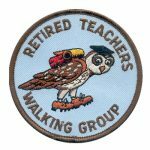 Greg believes strongly in the health and wellbeing as well as the environmental benefits of walking and looks forward to engaging with all those with similar passion and commitment. 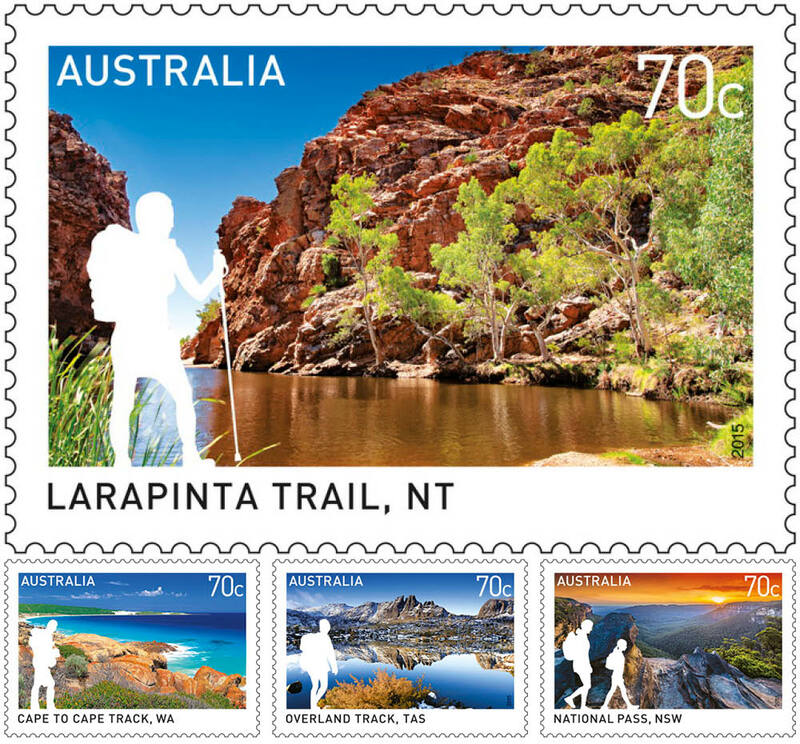 Spectacular bushwalking destinations are being showcased on a new Australia Post stamp issue. 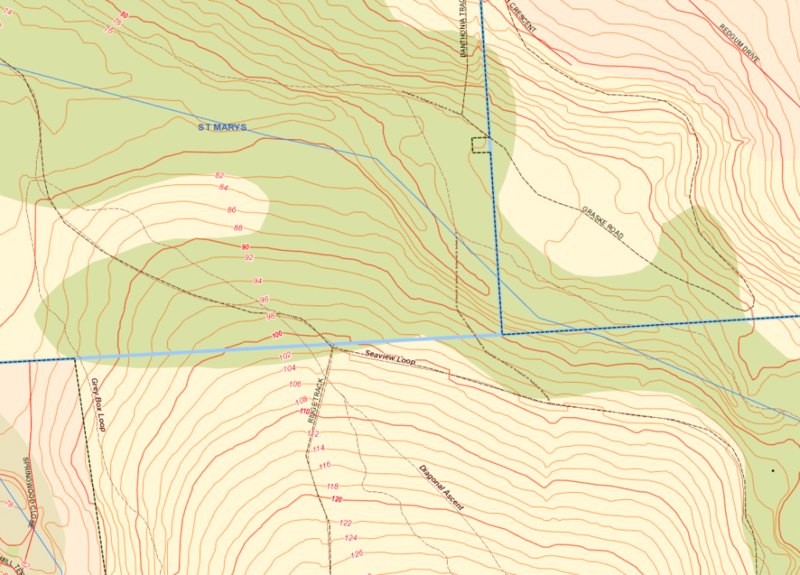 Bushwalking Australia had input ensuring that the designs were appropriate and geographically correct. The Mt Lofty Ranges are among Australia’s most beautiful areas and are enjoyed by many residents and visitors. Its lovely landscapes are the key to its popularity. With the support of the World Heritage Bid for the Ranges, consultancy firm Scenic Solutions is carrying out a survey to measure and map its landscape quality. The results will inform and assist the Government, councils, land owners and other bodies in their planning, management and promotion of the region. The survey comprises a set of photos of the region and involves rating them on a 1 – 10 scale of landscape attractiveness. The value of the survey depends on having as many people as possible participate. No qualifications or experience are required and the responses will be anonymous. It is open to anyone 18 years or older. The survey involves rating 150 scenery photos, and will take approximately 15 minutes to complete. 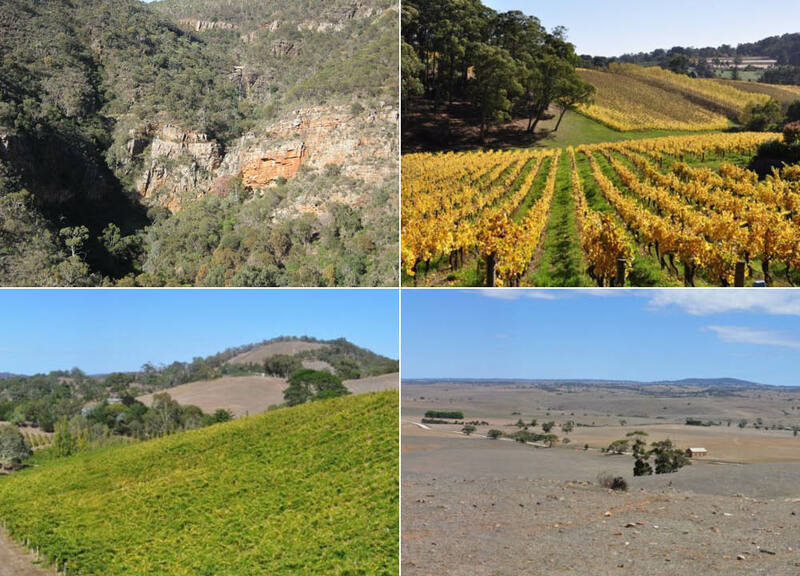 The Mount Lofty Ranges Working Agricultural Landscape World Heritage Bid spans the world-renowned food, wine and tourism regions of the Barossa Valley, Adelaide Hills, McLaren Vale and Fleurieu Peninsula, all located within an hour’s drive of Adelaide, South Australia. The UNESCO bid has a core ambition to deliver real and lasting economic, cultural and environmental benefits to the region regardless of the outcome. View an ABC 7:30 segment. 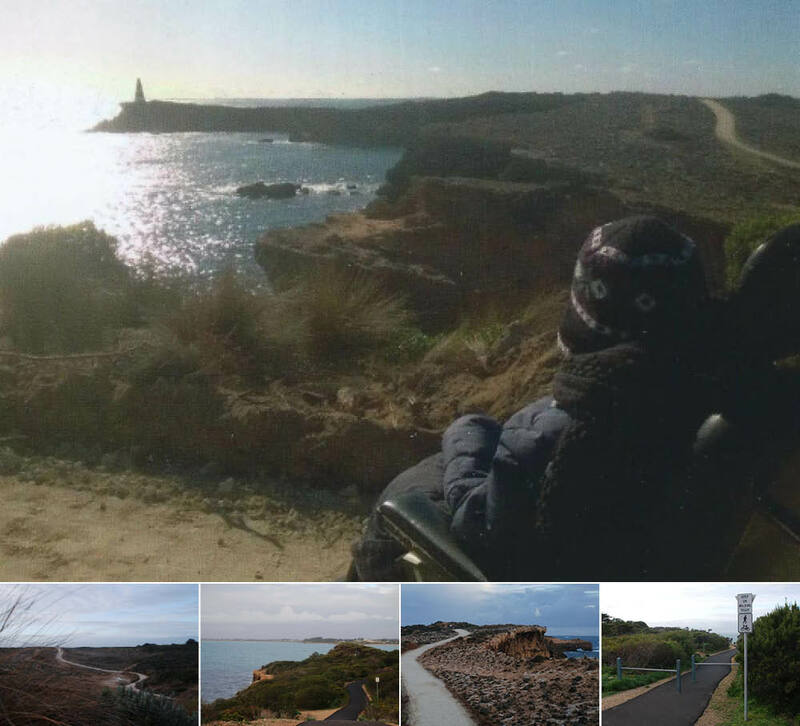 We recently received feedback from a trail user who was thrilled about the accessibility of the new walking trails at Robe. The District Council of Robe in partnership with Department Planning Transport and Infrastructure People and Places funding are developing a walking and cycling trail around the township of Robe that will allow people to access and view the spectacular coast line and scenery that surrounds the town while engaging in exercise. When completed, the 12km Loop Trail will allow people to use sections of the trail to access the town centre, the towns many beaches or just to enjoy the scenery of Robe while undertaking a healthy activity. The existing path was informal, degraded and close to the cliff. The trail is being rebuilt as crushed limestone, suitable for wheels, and as an environmentally sustainable path further from the cliff edge. The new shared-use path is designed for walkers, cyclists, people with mobility issues and prams. I have been visiting Robe for the last 20 years. My only means of getting around is using an electric wheelchair. Consequently, I am absolutely thrilled that the District Council of Robe has taken action in upgrading walking trails; in particularly those on the Cape Dombey Peninsula. This allows me to see the coastline as I have never seen it before. Please pass on my sincere heartfelt thanks to all those involved. – Ms Derris Vernon. 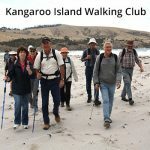 Walking SA takes this opportunity to congratulate the District Council of Robe for their work in developing a strategy and constructing accessible trails for all, including people who use wheelchairs, and families with children in pushers and prams, thus helping more people to enjoy being active. Five kilometres of trails are now open; between the Obelisk and the lighthouse; and between the Obelisk and Long Beach. Listen to an interview with District Council of Robe Council CEO Roger Sweetman (4min 45s). The inaugural Treasure Hunt for Nature around the River Torrens and Adelaide environs offers family friendly to more challenging Smart phone/GPS geocaching treasure trail options. All options are cycle friendly. 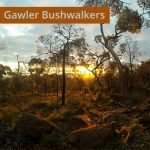 Funds raised will help Nature Foundation SA to Save, Protect and Restore South Australia’s landscapes and species. A guided bush walk provides a unique way to explore the wonders of Monarto Zoo. 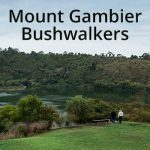 Enjoy up to 10 kilometres of walking tracks which meander through some magnificent areas of remnant native vegetation often overlooked by many visitors. Take up this special opportunity to have your bush walk hosted by former Zoos SA President Heather Caddick who continues to be a passionate supporter of the zoo and has also been a volunteer for many years. In addition to experiencing the magnificent native plant life and wildflowers of Monarto Zoo, you’ll also delight in the native wildlife that calls it home, including kangaroos, Euros, emus and echidnas. Walkers and bicycle riders share many similar issues, both need good places to walk and ride, and both are often at risk in our society, primarily from motorised traffic. We are all walkers in one form or another, babies, toddlers, school children, young adults and onwards. It has been said that if the world was designed for walkers, it would be good for everyone (except perhaps those who wish to drive fast cars). One of the keynote speakers is Gyles Bendall, Public Realm Programme Leader, Auckland Council. He will take delegates on a journey through the evolution of the Auckland’s city centre to become more walkable and more humane, with shared spaces at the heart of re-imagining our streets. Some shared space projects have seen a 430%+ rise in retail hospitality takings and a 140% increase in pedestrian foot traffic post-implementation. This has helped turn around the ‘city of cars’ to become more of ‘a city for people’. 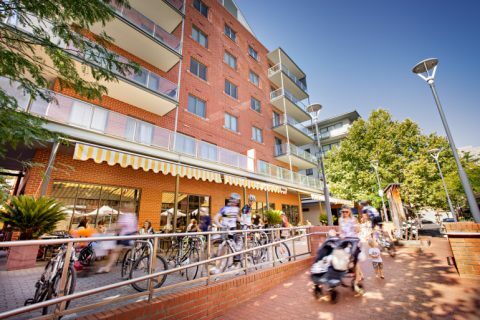 The Australian Walking and Cycling Conference will be held in Adelaide on Monday 20 July and Tuesday 21 July, 2015, at the Flinders Uni campus in Victoria Square. 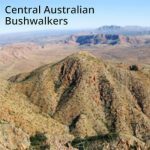 The Flinders Ranges National Park Draft Management Plan has been released for public consultation. It sets out objectives and strategies for the ongoing protection and conservation of the natural and cultural values of the Park. fitness and capability (particularly during extreme weather). Repairing trail surfaces that have deteriorated. Trail along the foothills of the Heysen Range between Bunyeroo Gorge and Aroona Campground. Developing a trail from Wilpena Creek to Tanderra Saddle below Ngarri Mudlanha (St Mary Peak) via a ridgeline loop walk. Investigating and developing several cycling trails in the Wilpena area. The Friends of the Heysen Trail have expressed their concerns about the proposed realignment of the Heysen Trail along the Aroona Valley floor. Responses close July 31, 2015. 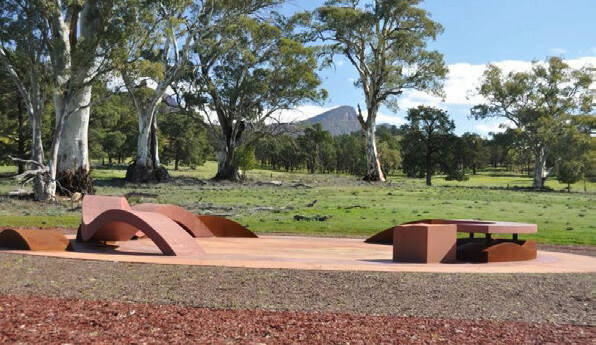 The 13-day 144km walking trail planned for the Grampians National Park recently received $29 million in funding from the Federal and Victorian state governments. About 70 kilometres of the trail is already in place, but a further 80-odd kilometres of new track and connections will be built. The first section is now complete and offers a 36 km, 3 day/2 night circuit walk departing from Halls Gap. The Grampians Peaks Trail will link the popular national park’s rugged sandstone outcrops, waterfalls, low-lying wetlands, moist ferny gullies and jagged peaks. With camp sites every 10-12 kilometres, the trail could take 13 days to walk. 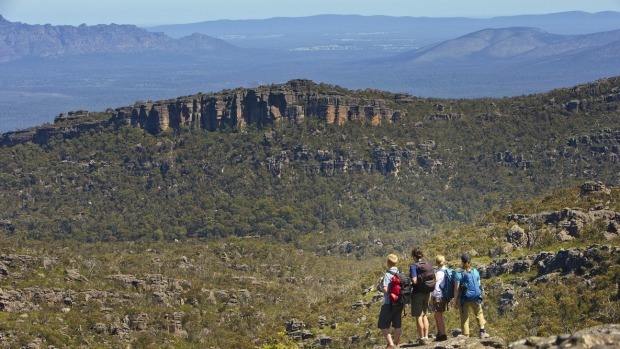 Chris Rose, acting chief executive of Parks Victoria, said the Grampians Peaks Trail would become an “icon walk” for Victoria, alongside the Great South West Walk in the south west and the Wilson’s Promontory circuit track. Thank you to everyone who responded to our recent survey. We had a huge response with 503 respondents! The feedback we received is very important to us and we’ll be working towards creating a bigger and better Walking SA thanks to the great responses. The winner of the $100 voucher was Mike Jureidini. Congratulations Mike! A summary of the survey results will be made available at a later date. We have been a partner working on the SA Recreational Trails Master Plan, with Recreation SA and other peak bodies and trail groups. The new plan is nearing completion and contains recommendations for the trails sector for the next 10 years. Part of the process includes a review of the current Trails SA website, with recommendations and a view to upgrade the website. The website was released in the mid-2000s and apart from listing trails, generally lacks useful information to trail users. 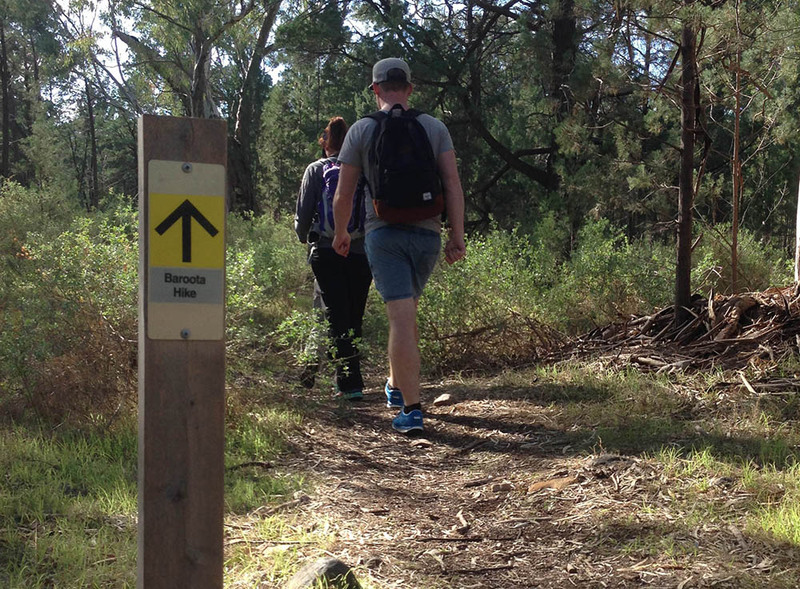 We at Walking SA strongly support the vision of a coordinated and sustainable approach to the ongoing development, promotion and maintenance of trails in South Australia. 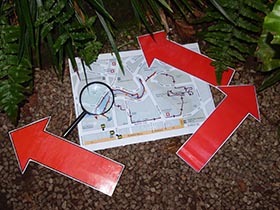 We recognise that all stakeholders have their own special interests and needs (eg mountain bike trails and establishing an International Mountain Bike trail in the Adelaide Hills) – but having a Master Plan, with shared and agreed guiding principles, will go a long way to ensuring that all trail users can be assured of safe, accessible and enjoyable activities. We hope to send a copy of the next version (end July) of the Draft Management Plan to our member clubs to offer them the opportunity to review it.